Bathrooms need regular and proper washing and sanitising to be kept in hygienic condition. They are rooms which gather moisture which leads to mould and mildew. If you use our bathroom cleaning services provided in Wimbledon you will have perfectly hygienic and washed tiles, sinks, tubs and cabinets. Our staff use safe but effective detergents to remove mould, mildew, soap scum, residue from washing products and grime. They can make your bathroom shine and keep it perfectly sanitised doing the work as often as you require. 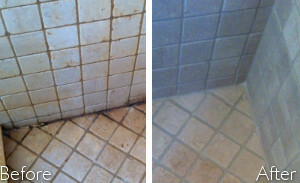 Use our affordable bathroom cleaning services which we provide to the residents of SW19 regularly to get best results. Our staff use effective detergents, brushes and sponges to scrub hard dirt deposits, residue from washing products and soap scum. They will remove the mould and limescale from the tiles and grout, wash the bathtub and showers, rinse and wipe them well. We provide cleaning of mirrors and internal window glasses and sills in bathrooms. Our staff use suitable cleaning solutions, squeegees and tools which don’t leave any streaks. Get your bathroom sanitised from top to bottom using our professional cleaning services as often as you prefer. We work in line with the demands of the customer and can sanitise bathrooms upon request, once or several times in the week or month. We carry out flawless bathroom cleaning in Wimbledon and in the surrounding areas. The cleaners in our company are supplied with effective detergents and solutions for removing mould, limescale and grime. 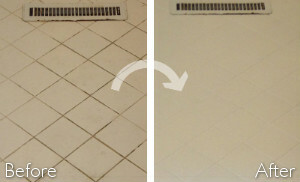 Having the necessary skills and tools, they can implement high-quality cleaning with great results. Use our call centre, online form or e-mail to schedule the washing and sterilising of your bathroom surfaces. We guarantee you that you will be pleased with the results of our staff’s work.